Every CCI employee pledges a commitment to safety — it’s their most important task. Because CCI employees are our greatest asset, CCI’s leadership and management are dedicated to providing ongoing training and empowering staff to speak out if they see an unsafe practice. 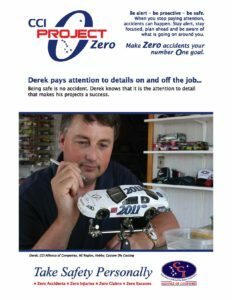 CCI has established Project Zero as our signature safety recognition and awards program to promote excellence in safety. 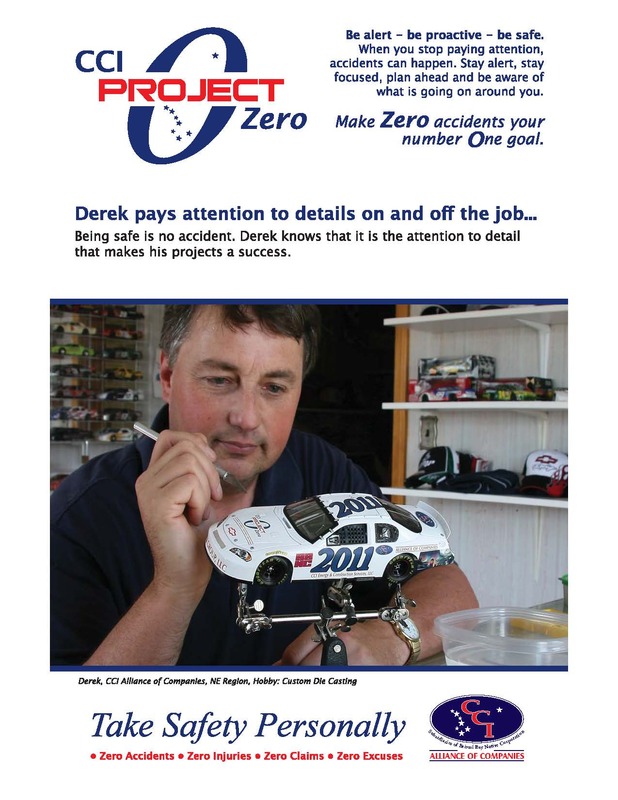 The program’s slogan is “Zero Accidents – Zero Injuries – Zero Claims – Zero Excuses.” Project Zero focuses on identifying those team members who are delivering quality projects to our customers while exceeding the safety standards. To accompany this process, we deploy a robust safety promotional campaign that includes seasonal posters (see examples below), company apparel, and awards of paid time off. 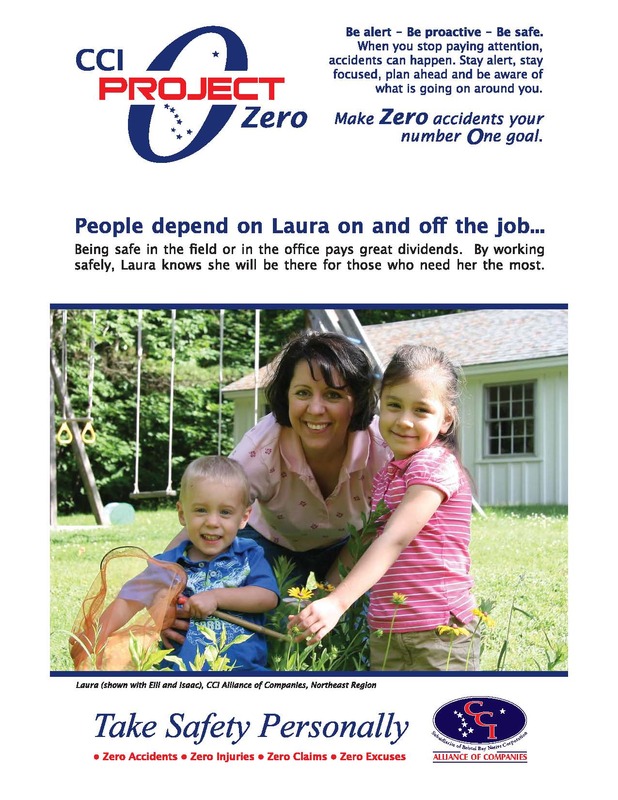 The goal of the Project Zero incentives program is to motivate CCI employees to create and maintain a safe and healthy work environment, and to use safe practices both at work and at home. Currently, our Experience Modification Rate (EMR) is .60.